You may have a hard time getting up to speed early this morning. You’ll just feel like relaxing in bed. Surprisingly, this may be the most productive thing to do, as inspirations will come out of the blue. Mercury conjuncts Venus in Aquarius giving our relaxed thoughts a certain spark of creativity. The less you try to think, the more ideas you may get. By noon you’ll be filled with enthusiasm for transforming your writing into something wonderful. 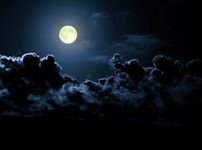 As the Moon moves into Scorpio tonight and trines Mars in Pisces, you’ll see how potent those morning daydreams actually were. So much so, that you may find it hard to stop writing tonight.